His father credits the yams of Jamaica. Bob Costas thinks his long legs may have something to do with it. 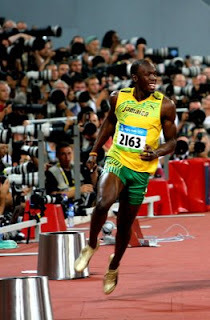 Either way Usain Bolt is the fastest man on the planet.